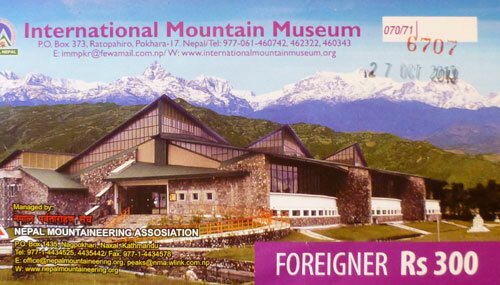 If you're interested in either Climbing or Himalayan Village history, this Museum has it all. Thoughtfully placed out, this huge building has many photographs, artifacts from various Exhibitions and a good history of Himalayan mountain life. Upon entering the Museum complex you see a 21 meter high climbing frame beside some replica Huts and Houses once lived in and around the Villages in the foothills of the Himalayas. As you walk up the Driveway to the main building look out for the Coffee Bean Trees along the sides. Some may say the Exhibition Hall is a bit of a giant Aircraft Hanger but it was obviously designed to give an air of space, the mainly glass walls and ceiling drawers in a very natural light. Depending upon your interest, you would expect to spend any time from an hour to three hours looking around. There is a small Cafe outside. The replica Huts and Houses showing the architecture and culture of local Tribes are surrounded by Trees native to the area and even some Vegetables growing amongst them.